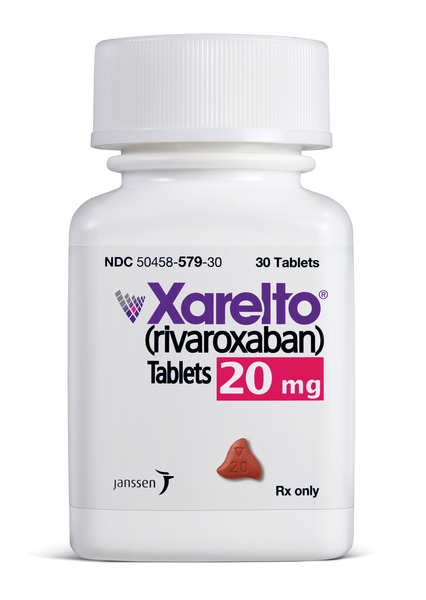 First reaching consumers in late 2011, Xarelto (rivaroxaban) is a popular anticoagulant agent that is broadly prescribed to reduce the likelihood dangerous blood clots, strokes and pulmonary embolism in patients who have atrial fibrilation as well as those who have recently undergone joint replacement surgery. The drug is among a so-called “new breed” of drugs known as direct thrombin inhibitors, and was developed by Bayer and its Janssen subsidiary. Though Xarelto’s star has risen quickly among doctors across the country, the frequency of adverse event reports with the U.S. Food and Drug Administration has caused alarm. With incidents of uncontrollable, sometimes life-threatening bleeding events being reported in connection with use of the drug, Xarelto lawyers are reviewing cases to determine if litigation is appropriate to help victims seek compensation. Anticoagulant drugs can pose very real dangers to patients because of the manner in which they function. While they are designed to reduce the danger posed by the formation of blood clots in patients who are particularly susceptible to them, if an internal bleed happens to develop in the body near critical organs such as the lungs, brain or kidneys during use, dire consequences can result. An uncontrolled bleed in any of these areas will cut circulation to those vital organs, often producing a total loss of its function. Because Xarelto and other similar drugs are intended to stop clotting, this type of bleed is almost certain to continue until the medication makes it way out of the body. It is important to note that Xarelto is quite similar in its makeup to Pradaxa (dabigatran etexilate), the first of the new anticoagulants to reach the market, and it too has a history of raising concern and serving as the target of increasing numbers of lawsuits. Both Xarelto and Pradaxa were praised early on for their superiority over the traditional choice in anticoagulant drugs, Coumadin (warfarin). One area of deficiency of these new offerings, however, has always been the fact that no antidote exists that may be given if and when serious bleeding problems do arise in connection with their use. Further, it is impossible to flush Xarelto from the body through the use of kidney dialysis. Thus, there is little a physician can do to help once internal bleeding occurs while Xarelto is in a patient’s system. Since its appearance on the market, Xarelto has accumulated an even greater number of adverse event reports with the FDA than Pradaxa. In February of 2014, the FDA denied Bayer’s request the Xarelto be approved as a treatment for a condition known as acute coronary syndrome. The reason given by the FDA for its decision was that Bayer had not provided sufficient evidence that the drug was effective for that application or safe for consumers. This denial represented the third time the regulatory agency refused to broaden Xarelto’s approved uses, something that many observers believe underscores the belief that the drug’s bleeding risks are simply too significant to ignore. Though initially the powerhouse in terms of new generation anticoagulants, the success of Pradaxa has since been eclipsed by that of Xarelto. Forecasters have predicted that the sale of the drug may reach $3.7 billion annually in the near future, making it one of the most successful sellers in the entire pharmaceutical market. Xarelto’s competitor Pradaxa has itself been the target of large-scale litigation, ultimately causing its maker, Boehringer Ingelheim, to enter into a settlement agreement with roughly 4,000 plaintiffs at a cost of $650 million. Because of the compositional and functional similarities between Xarelto and Pradaxa and the uptick in adverse event reports involving uncontrolled internal bleeding, it is predicted that Xarelto plaintiffs will increase exponentially. Product liability lawyers are now exploring possible claims and looking into complaints that Bayer knew of the risks posed by the drug, but failed to warn physicians and consumers. It is expected that plaintiffs in Xarelto lawsuits will allege that the drug maker sold a product that was defectively designed and manufactured, represented it as being much safer than they actually knew it to be, failed to update warning labels as circumstances warranted and oversold its as a safe and effective treatment for a relatively common medical condition. The first Xarelto-related lawsuits have already been filed, though they are still comparatively few in number. The vast popularity of the drug, its similarity to litigation-plagued Pradaxa and the explosion in adverse event reports are all signs that lead industry experts to believe that an onslaught of Xarelto litigation is not far away. Those who have been harmed by the dangerous side effects of Xarelto or whose loved ones have experienced fatal consequences after using the anticoagulant are increasingly enlisting the aid of a qualified lawyer to help pursue financial compensation and hold drug makers accountable for placing consumer health in jeopardy.